Starting as low as $149/month! One fear that many patients have when considering LASIK surgery is not being able to afford it. After all, it is a surgical procedure that involves precise technology and can be quite costly depending on the nature and extent of your vision problems. Many studies show that roughly 95% of patients getting LASIK surgery are able to achieve uncorrected visual acuity of at least 20/40 and 85% achieve at least 20/20 vision. With just one outpatient procedure, patients are able to see clearly, without the use of any hardware. There are usually several financing options available for LASIK surgery, and providers will always try to find a solution that best fits your budget. In many cases, the payments can be stretched so that you’re not paying any more than the amount you’d spend on a coffee or two per day. This is for a vision correction solution that will last forever! Even if your payment plan stretches out for a handful of years, once it’s paid that’s the end of it. You no longer have to purchase glasses or contacts, and you get to live the rest of your life with great vision, for a one-time treatment that was paid for with a convenient financing plan. Not sure if you qualify for LASIK financing? There is only one way to find out for sure, and that is to give it a try. There are always options, and it’s important to keep in mind that this is a medical procedure that’s designed to improve the quality of your life. If you feel as though LASIK surgery sounds like a good option, and financing is the only realistic way to make it happen for you, you owe it to yourself to improve your quality of life with clear, unrestricted vision. 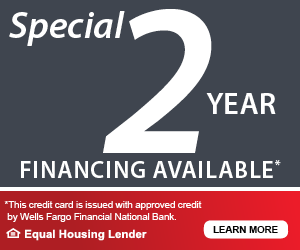 We offer interest-free financing options! To calculate your monthly payment fill in your total price for LASIK below and you’ll see the various monthly amounts so you can better determine which plan best fits your budget. The results for LASIK surgery are generally considered permanent, and no further procedures are required if you have had a successful procedure administered by an experienced, skilled surgeon. Most patients get the most excitement out of the fact that after the LASIK procedure, glasses and contacts are no longer necessary. This provides an incredible sense of freedom, especially if you have been wearing corrective lenses for many years. It’s true that many people requiring vision correction who feel they can’t afford it will just go without and try to make due. This is never a wise decision because there are so many different activities and scenarios in life that require clear vision. It’s been estimated that 90% of your reaction time when driving a car relies on sight, so if you continually drive without seeing as clearly as possible, you’re putting yourself and others at risk. Going without any type of vision correction when you need it can also cause serious headaches and impair your ability to read clearly. You may find yourself squinting a lot, having trouble making out road signs or reading menus, and generally having an unpleasant time. Wouldn’t it be nice to simply forget about your vision issues and see clearly for the rest of your life without any corrective help? Financing anything can be a frightening thought for many people, but when you consider the options, compare the costs and break down the payments, it’s really not very frightening at all! When you have LASIK surgery, your vision is corrected for life. That is the end of your vision correction journey, and you can continue on as if you never had a vision problem before. If you wear glasses or contacts, on the other hand, you will have to continually update prescriptions and will likely change styles or replace broken frames. Basically, the cost of wearing corrective lenses will match or exceed the amount it costs for LASIK surgery over the course of your lifetime. Are you ready to make a change? 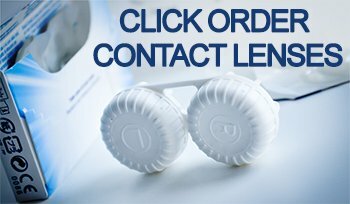 Contact us to book a free consultation and find out if you are a candidate for LASIK.